Do you have the right capabilities to create and deliver services? Delivering services requires a fundamental change in relationships across the ecosystem – between the service provider, its partners and their customers. Customers often have to relinquish control of particular processes, partners often need to share data, knowledge and resources and all stakeholders need to have high levels of trust, motivation and engagement. If the right conditions are not in place, the risk of failure is high. We have developed a diagnostic tool which is designed to help you understand whether you have the right capabilities in place to innovate your service business model. 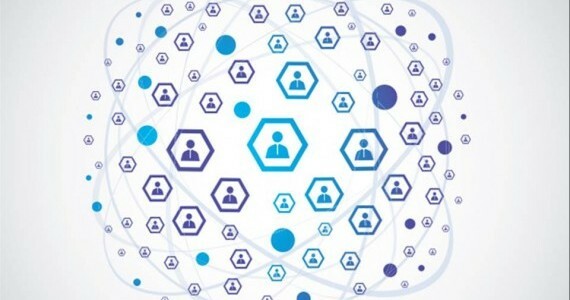 Identify the capabilities needed to deliver services. Focus on potential areas for collaboration, including apportionment of value. Consider how to manage risks associated with collaboration. Highlight opportunities for growth of exiting services. Many firms that have succeeded in making the shift to services have learnt difficult lessons along the way. 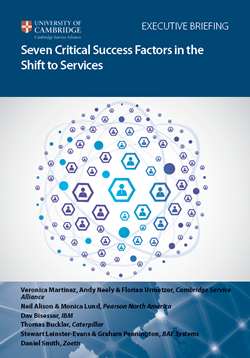 An executive briefing from the University of Cambridge,the ‘Seven Critical Success Factors in the Shift to Services’, distils these lessons into success factors that anyone contemplating service transformation needs to understand and address.